Hi everyone! Long time no see, right? Well, that wasn't entirely by accident. You see, at the beginning of the year, I finally accepted something that I kept ignoring beforehand: blogging was becoming a chore. It's not that I didn't find joy in the act, but I felt that keeping up on posts became more of a requirement than something I genuinely wanted to get up and do everyday. For the longest time I kept blaming the fact that I was probably bored of my blog design, but then it hit me earlier today that the problem...was my mindset. I've been blogging for almost four years, and since then have had about five different blogs. I kept telling myself that it was no biggie and I just had commitment problems, but in truth, I simply didn't care. I liked the idea of blogging more than the act of it, and with that notion in my subconscious, I was never able to reach a single blogoversary. It's for this reason that I purposely took a step back from Time Turning Reads to get my head on straight. I needed time to prioritize my interests and see whether or not I actually wanted to continue blogging. Many times I found that as a blogger, I read popular books that I knew didn't interest me for the sole reason that my blog readers would probably want to hear my thoughts on them, and I never wrote discussion posts because I doubted people would care about what I had to say. I was blogging for my audience, but I wasn't blogging for myself. Thankfully, that month off from the blog made it clear to me that I absolutely adore blogging; I was just doing it wrong. I used to compare my blog to others and almost always found mine lacking. I took my lead from other bloggers and while I tweaked a few things here and there, Time Turning Reads was more of a standard, predictable blog than a site that reflected me. I wrote reviews that bored even me, and if I can't even find interest in what I write, who else can? NOW, however, I'm back and ready to do my own thing. I'm not reading books to write reviews, but reading because I want to read - I'm writing reviews when a book inspires me to do so, and never otherwise. I've come to believe that blogging should complement the reading, and never the other way around. In the spirit of doing things my own way, I urge you not to be surprised if I end up introducing new ways of reviewing books. Sometimes simply writing my thoughts out is boring, and change is always a good thing. Speaking of change, I've decided that for now, the blog design stays. It may not be perfect, but it's mine, and I couldn't ask for anything more (plus I'm too lazy to spend the effort making a new design). 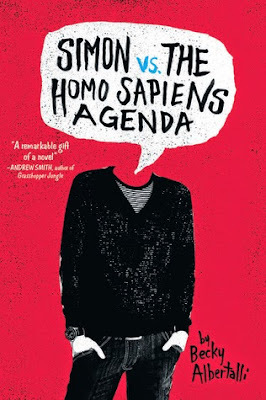 Now, that month long hiatus has left my blog feeling a bit cold, so in order to make up for it I've written up a few mini reviews for a few of the older and more recent books I've read while I've been gone. Hopefully, I'll also be catching up on comments and giveaway winners within the month. And as always, feel free to hit me up on either on the blog or through Twitter/Instagram - I love talking to you guys! I remember posting a review earlier about a certain book, The Conspiracy of Us, and mentioning how it had sort of an Ally Carter feel to it. Well, the only thing better than a book having an Ally Carter feel is a book that is actually written by the great spy author herself, and All Fall Down fits that criteria to a point. I admire how Carter's latest novel is still about espionage, but at the same time fits into a completely different category from that of her Gallagher Girls and Heist Society series'. 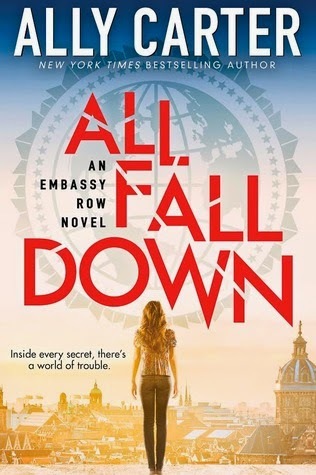 The Embassy Row series is completely on its own, and yet it's not only just as good as her other books, but possibly better. I couldn't put this book down until the very end, and that ending was the best thing that ever happened to anyone. 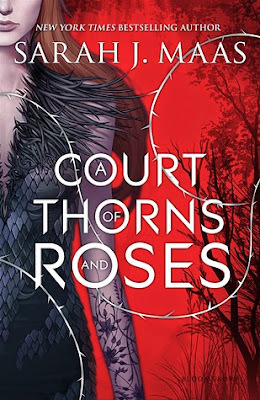 Pretty much everyone already knew how awesome this book was going to be even before it was released, and after reading it, I must admit I'm in exactly the same boat. I've never read a fairytale retelling that pulls you in like Maas's new book does, and every scene in this book was pure pleasure. The feels were intense, and the ending was unadulterated, brilliant torture. And the characters - they're indescribable. They're all so authentic (and HOT). My favorite without a doubt was Rhysand. I read the book a couple weeks ago and I still can't get him out of my head. Basically what I'm saying is, not reading this book would be missing out on one of the greatest stories and hot dudes ever written. 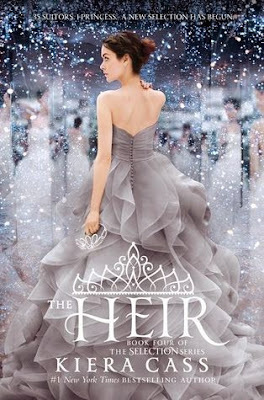 I hate to say this, but The Heir was a huge disappointment. But then again, I knew this wouldn't be too great of a book, so what's disappointing is that I was right. I loved America in the other books, and it was great seeing her and Maxon as the Queen and King. Their daughter Eadlyn, on the other hand, was annoying. I get that she has these huge responsibilities and all being future queen, but she was selfish, arrogant, and literally could not communicate her feelings. I'm sure she had good intentions, but they didn't shine through. I never came to like her. Now out of her thirty-five suitors, there were only a few that I liked. I didn't really ship anyone, so I'm just seeing where it goes. This book ended on a cliffhanger, and my curiosity on who Eadlyn chooses will be the only reason I'll be reading the next/last installment. It was cover love at first sight with this book. True, I never got that gut feeling that'd I'd love the book, but I convinced myself I would, and what do you know, I did. I was hooked from the very first chapter, nay, the prologue. The characters were very well written, and by the end of the novel AKA the cliffhanger, they felt like family. The romance between Shahrzad and Khalid was both intense and enchanting, and I couldn't get enough of it. The best part is that their love story isn't at an end. In fact, this book was just the beginning. Shahrzad is one of the best heroines I've read about in a while. She's dedicated in everything she does, and she doesn't cower in fear. She fights for all she's worth, and she admits when she's wrong. She doesn't blindly fall in love like many of today's heroines, and always does what's right. She is amazing. 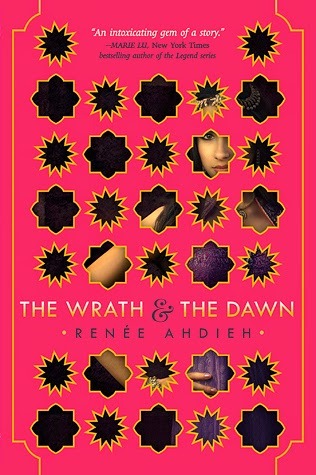 A Thousand and One Nights fans, you want this book.